A child’s welcome into the Catholic Church, which began at their Baptism, continues with the reception of the Sacraments of Reconciliation and Holy Communion. As your child approaches the age when preparation for these Sacraments begins, you must take responsibility to assure that they are properly prepared to receive these Sacraments. 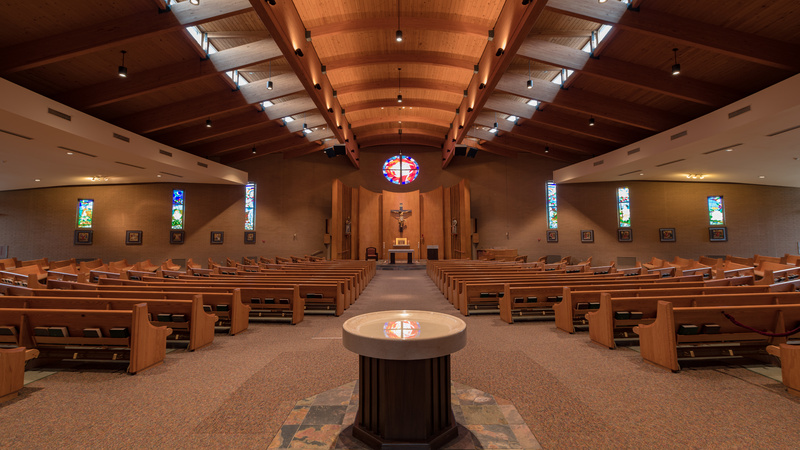 What is required for my child to prepare for Sacraments at Our Lady of Grace Parish? The celebration of Eucharist, which is the Sacrament of the Body and Blood of Christ, is at the heart and center of our spiritual life and journey of faith. Therefore, it is of primary importance that your family attends Mass each and every weekend, making Sunday worship a regular part of your spiritual life. Beginning in the year prior to receiving the Sacraments, your child will need to participate in one full year of formation either through attendance at a Catholic school, or the parish PK-5 program or Youth Ministry, based on age. During the year in which your child is to receive Sacraments, s/he will need to continue participation in formation as listed above. In addition to the continuation of regular formation, your child will participate in preparation sessions, with a parent/guardian, designed specifically for the reception of First Reconciliation and First Holy Communion. These preparation sessions, usually six in all, require the participation of at least one parent/guardian. Three occur in the fall to prepare your child to receive the Sacrament of Reconciliation during Advent, and the other three in late winter to prepare your child to receive the Sacrament of Eucharist during the Easter Season. What are the child/parent Sacrament Preparation Sessions like? Each of the parent/child preparations sessions is scheduled during a weekday evening and repeated on another weekday evening later that same week. This gives families the option of choosing whichever night best fits their schedule. The session begins at 6:30 p.m. and ends at approximately 8 p.m. and includes a short stretch/bathroom break. The participants will learn about the what, why, and how of the Sacraments through an exploration of the Sacramental Rituals.